A generic version of Nasacort AQ will be available on June 15, 2011. 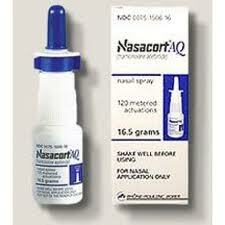 Nasacort AQ is an aqueous steroid nasal spray in the treatment of allergies. Currently, flonase (fluticasone) is the only generic steroid nasal spray available. As such, the company has stopped sampling Nasacort AQ for many physician offices including ours.